There's nothing that says summer like the sweet, succulent flavor of melons. What a refreshing, tasty warm weather treat! When plucked fresh from the vine at the perfect ripeness, they have a flavor that brings a smile to everyone. A slice of melon makes the perfect ending for any summer picnic or barbeque. The most important factor in growing melons is heat. The hotter your climate, the better melons will grow. In warmer climates you can grow seed directly in the ground starting in the spring. However, where the growing season is shorter you will need to grow fast maturing varieties and plant starter plants. You can also lay black plastic over the soil around the plants or cover with a floating row cover until the plants start flowering. Make sure to sow seed or starter seedlings after the soil has warmed to at least 60 degrees. If you grow vegetables in raised planter beds, the soil will warm up faster than on flat ground. If you must plant on flat ground, make sure the area has good drainage. 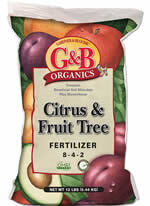 Always prepare all sites by adding an organic soil amendment, such as GBO Planting Mix, and a good fertilizer, such as GBO Citrus & Fruit Tree Fertilizer. 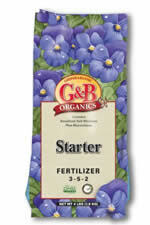 Plant your starter plants at least two feet apart or grow vertically on an arbor or trellis. Melons take up a lot of room, so plan accordingly. Make sure to avoid planting near cucumbers, or the cross-pollination can create undesirable flavors in both fruits. Try to avoid overhead watering at all costs, because that can make melons more susceptible to mildew and other diseases. Using drip irrigation or a soaker hose will help to avoid wetting the foliage. Water often enough to keep your plants healthy. Once the melons have reached full size (check label or seed package for size)--but before they have fully matured--cut back on watering to avoid bland flavor and splitting of the fruit. When melons are fully ripe, they slip off their vines quite easily. Harvest honeydew types when they turn color or when the leaves where the fruit is attached start to turn yellow. We have a great selection of melons in seed and starter packs, so hurry in and get started today. You'll soon be on your way to a great crop of delectable, sun-sweetened summer fruit. There are many ways to add life to a dull garden. One is to add plants with different foliage textures; another is to add plants with unique colors or bold-shaped foliage. Sometimes all it takes is a few well-placed plants that have completely different foliage from the rest of your garden to make a dramatic impact on the look of your garden. If your have a morning/sun, afternoon/shade or full shade location, consider plants such as acanthus with its large oak-shaped leaves and spikes of lilac flowers or alchemilla (lady's mantle) with its wavy foliage and yellow flowers. You might try the glossy-leafed bergenia with pink-red flowers or caladium, which comes in a multitude of different foliage patterns, or ligularia with its large-toothed foliage and spikes of lemony yellow flowers. If you are looking for something really different, consider the eye-catching marbled foliage of brunnera and hosta or the unique shiny fan-shaped leaves of fatsia (Japanese aralia). For sunny locations consider plants like the smoke bush (cotinus) with its burgundy purple foliage and wispy white blooms, the burgundy foliage of physocarpus (ninebark) or the unusual black foliage of 'Black Lace' elderberry. For something even more dramatic try a few burgundy or variegated foliage canna lilies, New Zealand flax or variegated weigela. For more height you can always plant a Southern magnolia (soulangeana) or Japanese maple (Japanese maples also do well in part-shade). 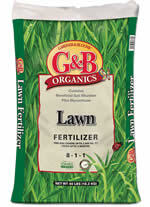 If your soil isn't the best, we recommend adding one of our excellent Gardner & Bloome Organics soil amendments (ask us which is best for what you are planting. 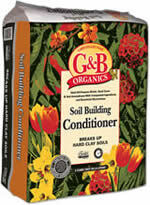 Use a good potting soil like GBO Blue Ribbon Blend if you are planting in pots. An artichoke's overall form is almost like a fountain and needs up to 4 feet of space for full growth. It likes full sun, cooler temperatures and moist soil. If you live in a very hot zone, plant it in partial shade. Mulch under the plant to help maintain the moisture that it loves. Aphids, snails, slugs, and earwigs tend to be the artichoke "pest of the day." Blast the aphids and earwigs off with water. We recommend using a pet-safe bait for the snails and slugs. The best time to harvest your artichokes is once the edible flower buds are 2-4 inches in diameter. Cut off the bud, including 1.5 inches of stem with the bud. At the end of the season, cut back the old bearing stems/foliage to near ground level and mulch around the remaining plant. Don't forget to give your artichokes a well-balanced fertilizer such as GBO All Purpose. For rose growers, these three fungus infections are hard to avoid. Morning and evening air moisture will get us every time, no matter how careful we are about giving our plants the best cultural environment that we can. Powdery mildew appears as a superficial white or gray powdery substance over the surface of leaves, stems, flowers, or fruit of affected plants. These patches may enlarge until they cover the entire leaf on one or both sides. Young foliage and shoots may be particularly susceptible. Leaf curling and twisting may also occur with this fungus. Severe powdery mildew infection will result in yellowed leaves, dried and brown leaves, and disfigured shoots and flowers. Although it usually is not a fatal disease, powdery mildew may hasten plant defoliation, and the infected plant may become extremely unsightly. On roses, uncontrolled powdery mildew will prevent normal flowering on highly susceptible cultivars. Some powdery mildew, especially those on roses, is favored by high humidity. This can happen in our gardens when we have plant overcrowding; shading will keep plants cool and promote higher humidity. These conditions are highly conducive to powdery mildew development. Rust is another fungus presenting problems in our gardens. It first appears on the undersides of leaves and other plant parts as orange powdery "pustules." As these pustules develop, they become visible on the upper leaf surfaces as orange brown spots. Rust can develop when temperatures are 65 to 70 F, and moisture is continuous for two to three hours. It is very important to remove and destroy the infected foliage containing rust. Wear gloves that can be washed afterwards and clean any tools used in the removal. This fungus is easy to spread. That is why it is important to also clean up any foliage that has fallen to the ground under the infected plant. Replace any mulch present with new mulch. Don't try to "wash" the rust away from the foliage! 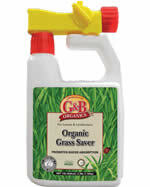 This will only help it to spread further in your garden. Blackspot, also a fungus, appears like its name. It also develops during warm but wet weather. Unfortunately, it can overwinter in the leaf buds and canes or on fallen leaves not cleared away from your roses. Lots of sun, good air circulation and healthy soil will increase your rose plant resistance capabilities. As with rust, it is very important to remove and clean up infected foliage. Remember to clean your tools between cutting on infected plants. Before using fungicides you should attempt to limit powdery mildew, rust and blackspot by following good cultural practices. Purchase only top-quality, disease-free plants of resistant cultivars and species--we sell only the best. Prune out diseased terminals of woody plants, such as roses during the normal pruning period. All dead wood should be removed. Remove from the surrounding soil all dead leaves that might harbor the fungus. Plant where the plants will obtain a minimum of 6 hours of sunlight daily (especially roses), and allow space for good air circulation. Don't use overhead watering/sprinklers, which wet the foliage. Don't water in the late afternoon or evening, when the foliage will not have time to dry. Fungicides may become necessary to achieve acceptable control. For best results with fungicides, spray programs must begin as soon as mildews are detected. Ask one of us which of the fungicide products are best suited for your needs. There is a range of products available on our shelves. For bare spots, make sure to remove any old dead growth that still exists. Then scratch the soil surface at least 1-2 inches deep and level off. 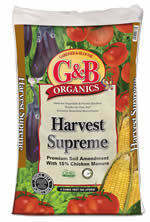 Apply your seed and cover with 1/4 inch of top dressing, such as Kellogg Topper. Make sure to keep the area moist at all times until the seed has germinated and rooted. You should be able to mow the spot (on a high level setting) three weeks after the seed germinates and is visible. Mix the soup, milk, soy sauce and pepper in a 1.5 quart casserole dish. Add in beans and 2/3 cup of the fried onions, and mix well. Remove from oven and stir again. Top with the remaining 2/3 cup fried onions. Return to oven and bake until the onions are golden brown--about 5 minutes.